With a little over two months left until Dancing with the Stars: Juniors premieres on ABC on Oct. 7, big casting announcements are coming out in a flurry of excitement. Earlier this week, it was revealed that the three judges sitting on the panel for Juniors would be DWTS pro Val Chmerkovskiy, La La Land choreographer Mandy Moore and DWTS: Athletes winner Adam Rippon. 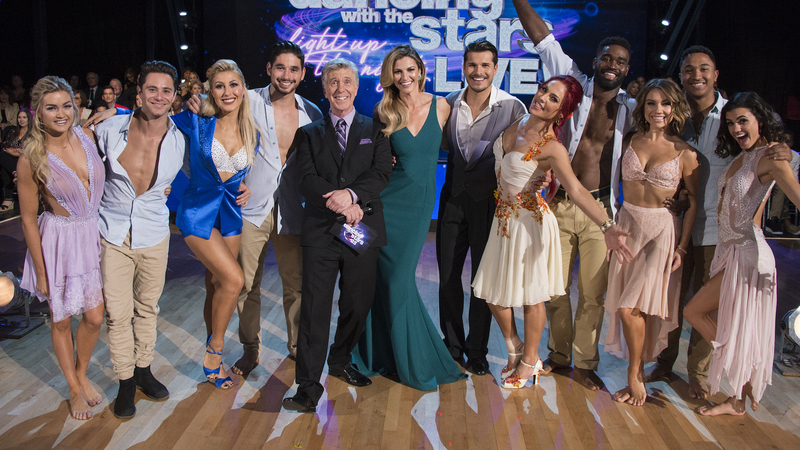 Then, on Wednesday, we learned which familiar DWTS pros would be returning to the show as mentors for the contestants, and even better, we actually got a look at the young pros that would be paired with the older mentors. Earlier this week, a video popped up over on the DWTS: Juniors Facebook page that finally — finally! — announced the official lineup of mentors and pros that we'll be seeing a whole lot more of during the first-ever Juniors season. We'll get to those young pros in a minute, but what's really got us excited about the upcoming season is the familiar faces in the form of the mentors who are involved, including Sasha Farber, Jenna Johnson and best of all, Cheryl Burke. The video also confirms other mentors who you might recognize, including Alan Bersten, Artem Chigvintsev, Lindsay Arnold and Hayley Erbert. In addition, the Juniors pros have also been announced. They're all dancing mavericks in their own right, and it will undoubtedly be a ton of fun getting to see their skills on display on the Juniors season. With the judge's panel, the Juniors hosts (former DWTS contestants Frankie Muniz and Jordan Fisher!) and the mentors and pros confirmed for the Juniors season, all we need to know now is who those actual young contestants will be. Until then, we can stay hyped about this Juniors casting news.